When iterating on your Lean Canvas, the system will automatically save your work as you make changes. Additionally, the system will create a snapshot of that information each day allowing you to completely revert to any given version in its history list. 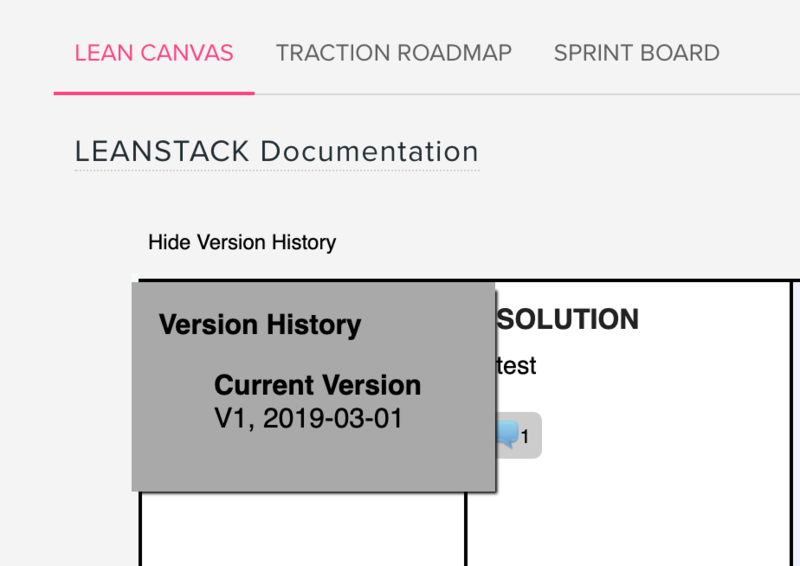 The version history selector is available near the top left corner of your Lean Canvas.